"It will eventually happen if I am destined to do it," Sachin Tendulkar had told Virender Sehwag once about getting a double hundred in ODI cricket. Even Sachin, perhaps, would have no inkling that within months of saying these words he would go on to actually achieve this historic feat. That he managed to do in the 37th year of his life and against one of the better sides in international cricket, is testimony to the champion batsman that Tendulkar was. February 24, 2010, would hence remain a momentous day in international cricket history. It was the day when a master batsman, at the twilight of his career, went on to become the first ever man in ODI cricket to score a double hundred. It was the second game of the 3-match ODI series between India and South Africa being played at a jam-packed Captain Roop Singh Stadium, Gwalior. Opting to bat first on a placid surface, India was looking to seal the series after having already won the first game. The home team lost the wicket of opener Virender Sehwag early, but their other opener, Sachin Tendulkar, was in the mood for a big one. Opening his account with a boundary towards mid-off of Wayne Parnell, Sachin perhaps knew it was his day. Even though South Africa had Dale Steyn in their ranks, Sachin was unperturbed and went about his business briskly. The ball was coming nicely on to the bat and Sachin struck some fluent drives to get things going. He reached his half-century off just 37 balls that included nine hits to the fence. Sachin settled down after this and his next fifty came off 53 balls. He reached his hundred – his 46th one in the format – in the 28th over by taking a single towards point off JP Duminy. Meanwhile, he had also formed a dominant 194-run stand with Dinesh Karthik (79) to pull things back for the team. After reaching his hundred, Sachin had assessed the pitch completely and knew he could go on to get a massive score if he kept his patience. He opened up and unleashed a flurry of boundaries in the next 10 overs to reach his 150 in just 117 balls – reaching his landmark courtesy a superb boundary towards mid-wicket off Wayne Parnell. He had taken merely 27 balls to reach from 100 to 150. The capacity crowd at the stadium was now being treated to the full range of Sachin’s genius as he cut, pulled, played on the up and drove down the ground, with great flourish. He showed no mercy to any bowler and punished them all with equal disdain. What was even more striking about this innings was the eagerness with which Sachin ran his singles and twos. As the innings progressed, Sachin began to get cramped up and dehydrated a bit. However, he did not let his intensity dip and kept cracking the boundaries. At the other end now was Indian captain Mahendra Singh Dhoni. Realizing that Sachin was tiring, Dhoni took the attack to the opposition himself. As Sachin surpassed his previous best ODI score of 186 (also the highest individual score by an Indian batsman in ODIs then), the anticipation in the crowd began building to a crescendo. However, Dhoni was farming most of the strike at this time, screaming the South African bowlers all over the park, leading to frustration among the people who wanted to see their darling at the crease. With a flick off Parnell in the third ball of the 45th over, Tendulkar collected two runs and arrived at the score of 195 – thus reaching the highest score in ODIs by a batsman. He had overtaken the previous record of 194, held jointly by Pakistan’s Saeed Anwar and Zimbabwe’s Charles Coventry. It was yet another feather in the master's illustrious cap. But one more milestone awaited him now. And this one was even bigger. Battling cramps and exhaustion, Sachin kept taking singles as marauding Dhoni at the other end went completely berserk. The crowd was becoming restless and desperate and finally, in the third ball of the last over, Sachin took a single towards point off Charl Langeveldt to reach his 200 – the first man on the planet to achieve the feat. The crowd went delirious with joy and Sachin, in his usual style, took off his helmet, simply looked up at the skies and thanked his stars. Sachin had scored his 200 off 147 balls and struck 25 fours along with 3 glorious sixes in his magnificent innings. He remained unbeaten till the end. Courtesy this majestic effort, India posted a mammoth 401-3 in their 50 overs and went on to comfortably win the match by 153 runs. The next day, the media was flooded with news of Sachin’s incredible achievement and he dominated headlines everywhere. Cricketers and other sportspersons from the world over showered their praises on the great Indian batsman’s phenomenal accomplishment. Sachin’s innings also opened the floodgates for the other batsmen. Until then, the 200-run barrier had looked quite unattainable for a batsman to reach in ODI cricket. Since the inception of ODIs in 1971, several great batsmen had come very close to the mark but had failed to cross the final hurdle. Sachin finally broke the shackles and paved the way for others to follow. And to date, six more ODI double hundreds have been scored. The genius of Sachin shall always be cherished throughout the sporting world. And this remarkable feat will rank among the very best in his glittering career. 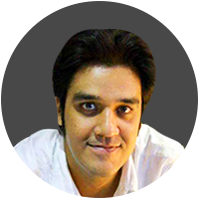 Bhavesh Bhimani is Contributing Editor at Cricket Today Magazine. Brexit extension: How much will it actually cost the UK to leave the EU?